155159 Pentek CRE1 filter fits in housings for 10 inch water filters. Fits Culligan / USFilter / Ametek / Pentek 10" Standard Water Filter System. 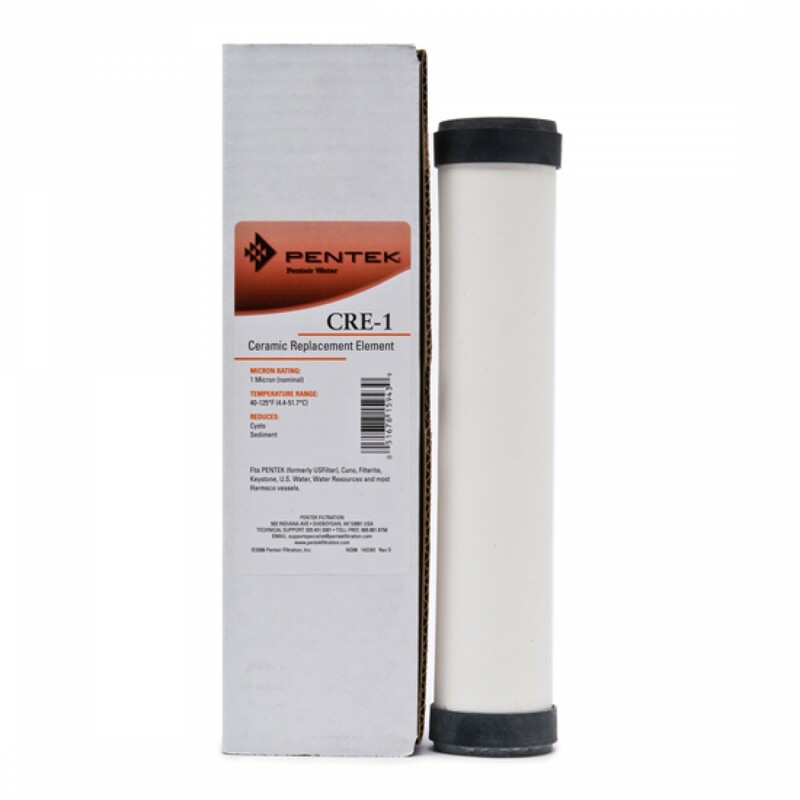 Due to the flow rate of the filter, the Pentek CRE-1 water filter is recommended for use with under sink systems with a dedicated drinking water faucet or a countertop water filter system.